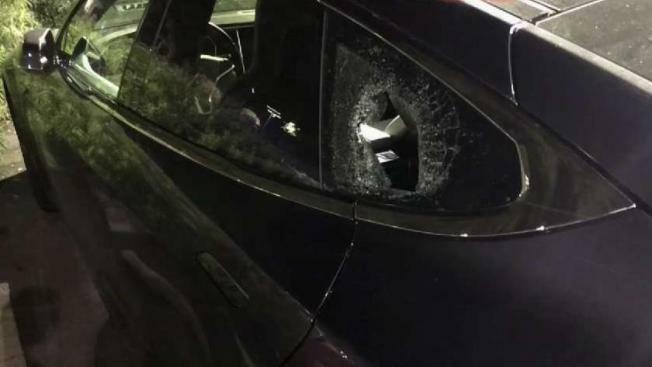 A Mountain View tech CEO is beyond frustrated after he says his vehicles have been broken into four times in the past 18 months while parked in the same city lot. Tim Campos said all four of the break-ins happened at night in the lot at Dana and Hope streets in Mountain View, and each time, the burglars targeted a small back window. Three of the burglaries involved his Tesla, and the fourth was a rental he was driving while his Tesla was in the repair shop. "When something like this happens, you feel victimized and out of control," Campos said. "It is very expensive for some of these glass repairs. For me, it's been $1,200 each incident." The most recent break-in occurred just last week, he said. "The thing that makes me most frustrated is the city does not seem interested in enforcing the law with these types of issues," Campos said. Mountain View police say the department's crime suppression unit investigates car burglaries, which were down last month compared to the 105 reported in January. In Milpitas, car burglaries are up and thieves are targeting shopping center parking lots. Fremont also has seen a spike, with more than 315 car burglaries reported during the first six weeks of the year. Campos is CEO of a software company in Mountain View and says he has few other parking options, which is why he is asking the city to install a surveillance camera in the lot. But he admits, after four break-ins he's looking at other options. "I'm not sure I plan to keep my company in Mountain View," he said. "When the lease expires, I'm thinking of moving to a different city that treats crime more seriously."